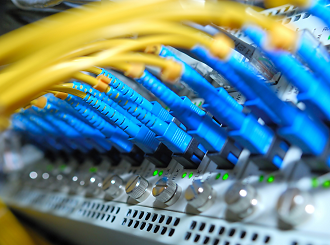 With today's advances in cabling technology and increasing bandwidth requirements, it is critical to consider the dynamics between network protocols, cabling system performance and life-cycle costs. Your mission-critical Network is only as good as the infrastructure it is built on. CompuGeeks provides each of our clients with a strategic approach to a broad range of Network infrastructure solutions according to their needs in the present as well as the future. 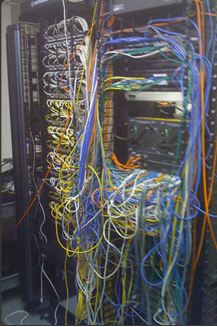 Over the years the client approach to their cabling infrastructure was to play catch up. The result was a chaotic system that never reached its potential nor efficiency required to meet said Business and IT needs. After learning about clients IT and Business needs, we determined the best way to go ahead with their cabling infrastructure. With a new infrastructure and wire management system in place, our client is no longer playing catch up. We provide a wide range of solutions for voice cabling, data cabling, electronic safety & security installations, and audio & video technologies in a reliable, cost-effective manner. These include: design, engineering, integration, installation, documentation and maintenance of ACMA standards-based copper & fiber optic premise cabling systems. What industry are you in? Any regulation or standards you have to follow? What software do you use? What type of files are you sending out and receiving? How do you access information? Where do you see your business a few years down the road? Every company has different requirements for their IT Infrastructure. What works with one company will not work for you. For example, an advertising agency would need an infrastructure that could handle the transfer large design files and multimedia streams without bottlenecks, while a financial firm would need an infrastructure would meet and exceed government regulations without sacrificing performance and versatility. We strive to learn as much about how you do business to better tailor a solution that will not only handle your needs today, but your needs for the next few years. Whether you're a hotel in need of a network infrastructure that can handle multimedia streams, or a corporate office in need for a secure network with access control and surveillance, or a Data Center that needs a more efficient backbone for your data center, CompuGeeks will work with you to come up with a solution that will meet and exceed your needs for years to come. Our CompuGeeks IT Infrastructure Experts have a wealth of knowledge and experience in proper design and implementation of ACMA standards for network infrastructure. Our data cabling experts are certified by todays leading technology vendors and top notch vendor independent institutions. Our certified systems engineers are commited to our client's best interests which, allows us to be vendor-independent and provide unbiased consultative services. Whether you need to set up a standard network over a number of desktops, or set up a streaming multimedia and security layout across multiple locations, you can be rest assured CompuGeeks will design and implement a stable, efficient, and robust network infrastructure in a cost-effective manner. 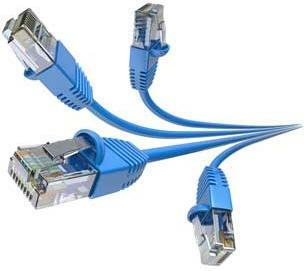 CompuGeeks performs extensive testing and provides written reports using high end Networks test equipment. All data cabling jobs can be certified to be in compliance with ACMA Standards for Commercial Building and Telecommunications cabling. CompuGeeks unconditionally guarantees against defects in materials and workmanship. A site survey and inspection of your location must be performed in order to ensure that a proper and reliable network infrastructure is deployed. Please call us at 0406 853 856 to schedule a site survey of your location. 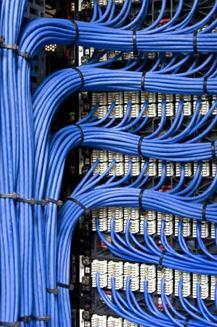 Fiber Optics Installation & repair.